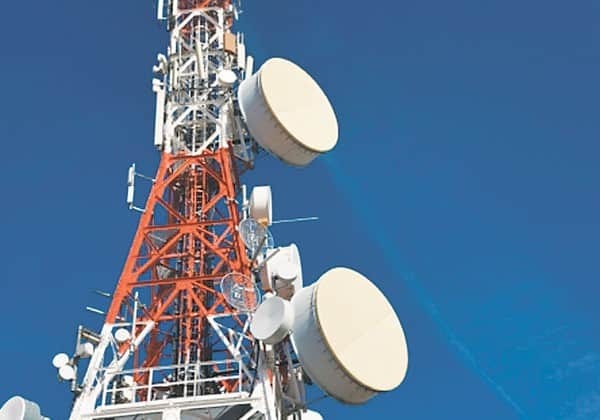 The Telecom Commission has approved the National Digital Communications Policy (NDCP), which aims to create 4 Mn jobs and bring in investments to the tune of $100 billion. It also aims to attract 50 megabits per second broadband access to every citizen in the digital communications sector by 2022 with the help of reforms. The DoT will now send the policy for Cabinet approval in about two weeks, after which it will be placed before Parliament for approval. Earlier, telecom minister Manoj Sinha had said the policy will be placed before Parliament in the monsoon session, which is scheduled to start from July 18. The DoT received feedback from the public and the industry on the NDCP in May. From providing a minimum download speed of 50 Mbps and enabling 10 Gbps connectivity to all gram panchayats, to attracting $100-billion investment in digital communications by 2022, the DoT has envisaged a very ambitious roadmap under the NDCP 2018. “The NDCP will propel India into the top 50 countries in the ICT Development Index from the current 134 and will take Digital India to all the homes in the country. This policy will help revolutionalise the telecom and digital ecosystem in the country,” Aruna Sundararajan noted. According to reports, TC has approved the installation of around 12.5 lakh WiFi hotspots in all gram panchayats with viability gap funding of around Rs 6,000 crore by December 2018. Under the Wi-Fi project all police stations, post offices, primary health centres, schools will be connected with Wi-Fi services by December 2018 and there will be 1-2 additional WiFi hotspots that will be available for round the clock public access. The TC has also approved avoidance of double tax on virtual network operators (VNOs) who provide retail services of telecom operators. According to the proposal approved, VNOs will be required to pay levies based on their adjusted gross revenue earned from any value addition that they will be done over the top of service they will buy from telecom operators for selling it to end consumers. The telecom commission has also approved rules for running pilot projects that will be funded from Universal Services Obligation Fund. The pilot projects will be aimed at exploring alternate broadband connectivity technology other than prevalent at the moment like Wi-Fi and mobile Internet and also look at addressing connectivity solutions for less developed districts. “COAI welcomes the approval of the NDCP 2018, as it is a forward-looking policy that promises to usher India into a new era of digital communications, thereby making the Prime Minister’s Digital India dream a reality. The new telecom policy with the aim of creating new jobs and inviting investments worth $100 billion by 2022 now awaits the final approval from the cabinet,” said Rajan S Mathews, DG, COAI. NDCP 2018 Rules Cleared By Telecom Commission 0 out of 5 based on 0 ratings. 0 user reviews.